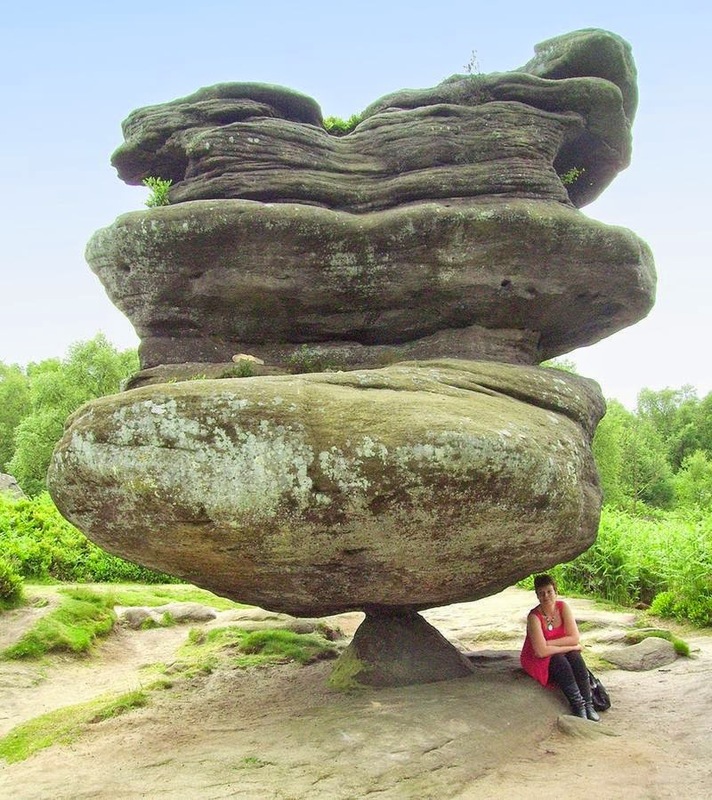 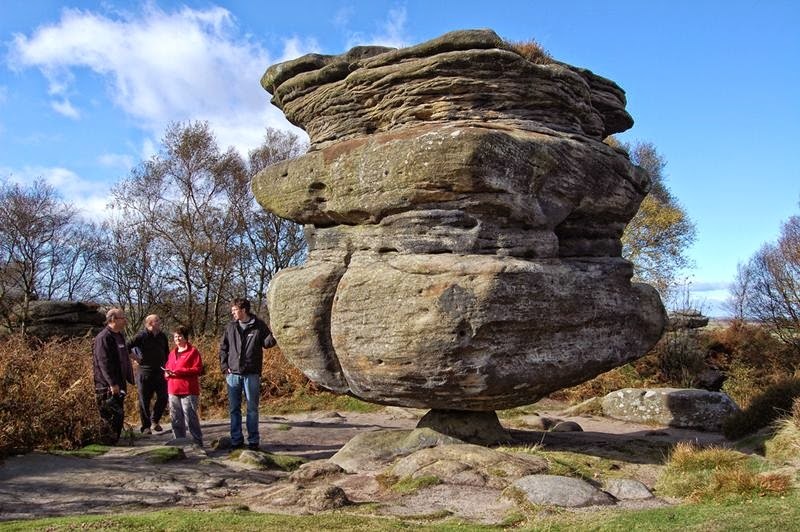 Brimhem Moore, an area of 20 hectares, in North Yorkshire, England, situated some interesting rock formations, created tens of thousands of years of erosion, but the most impressive of these is the Idol Rock - 200-ton monolith, balancing on a small pyramid-shaped base. 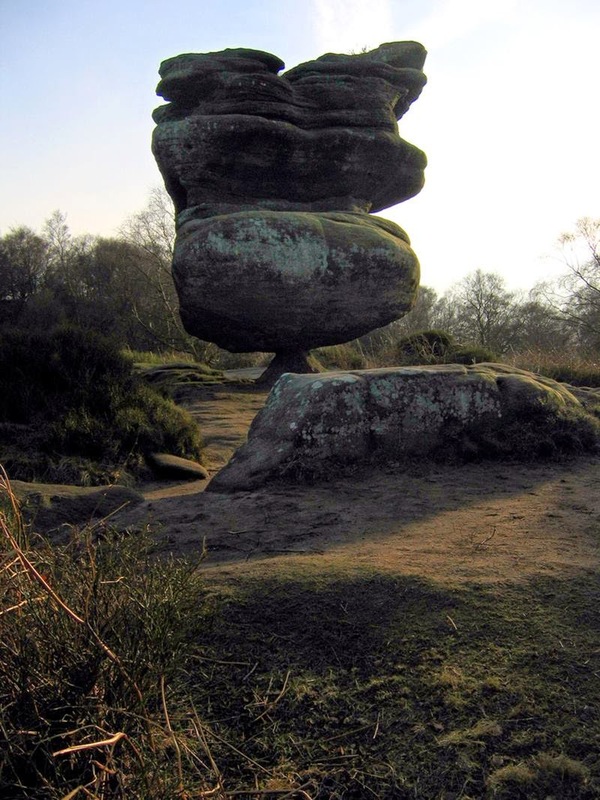 Rock idol, height 4.5 meters, looks like she is about to fall, but in fact it is quite stable. 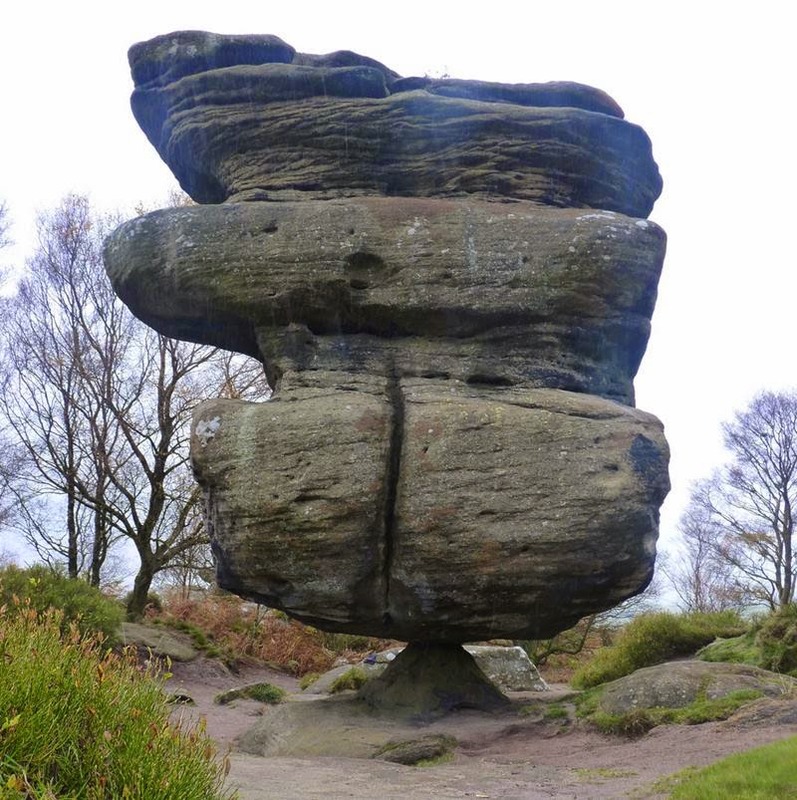 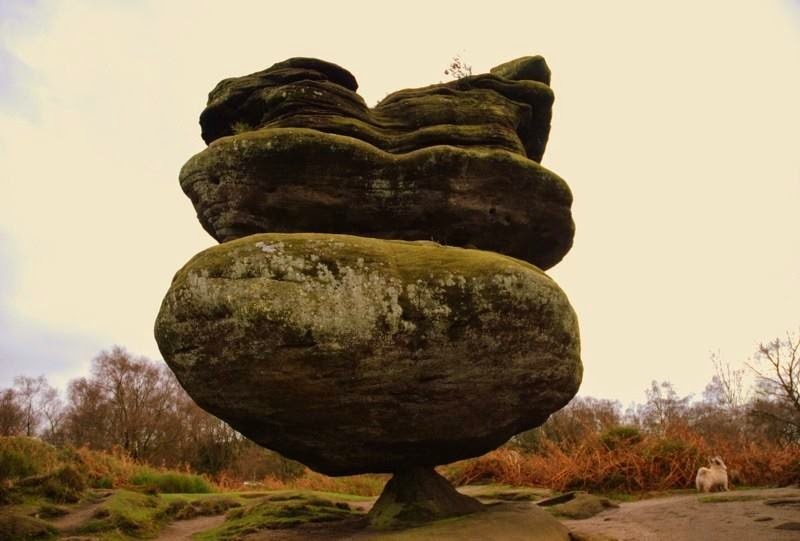 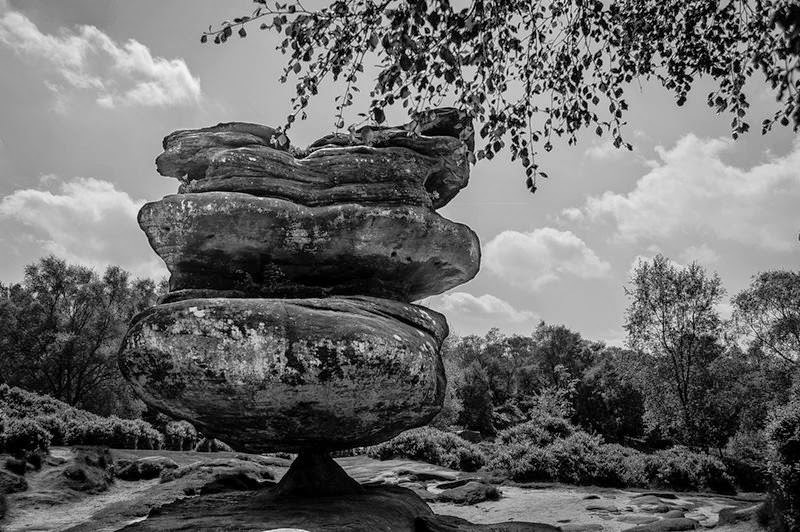 Giant stone formation is estimated to having a weight of 200 tons, is teetering on the basis of his little longer than anyone remembers, denying the laws of physics, and forcing visitors Brimhem Moore, scratching their heads in wonder. 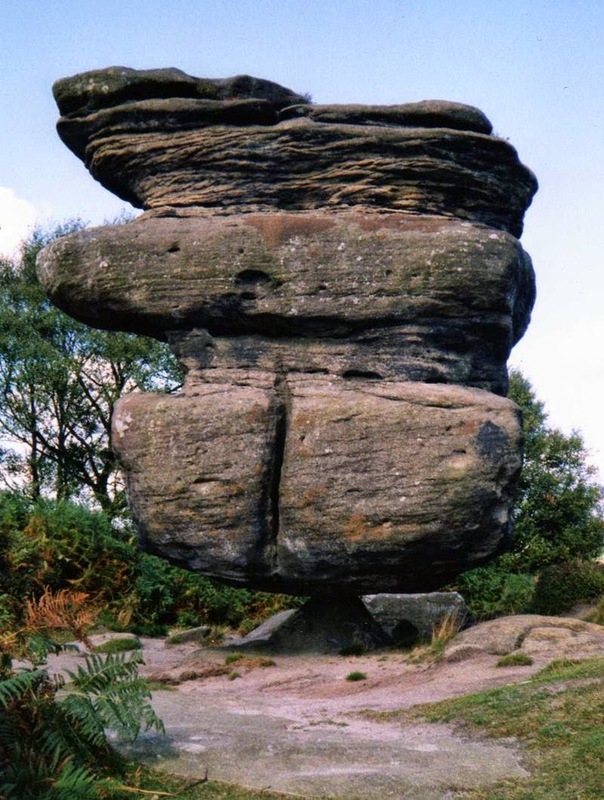 This unique landmark, also known as Druids Idol and Desk Druids "Druid's Writing Desk", held in a small stone girth of 30 centimeters. 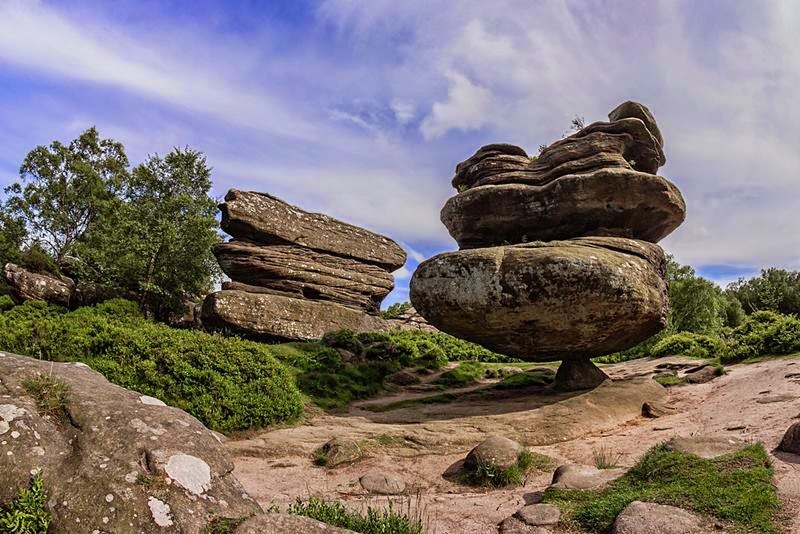 Photos stone walk on the internet for years, and many believe that this is just the result of work in Photoshop, but the idol of Brimhema actually exists and is an example of the talent of Mother Nature. 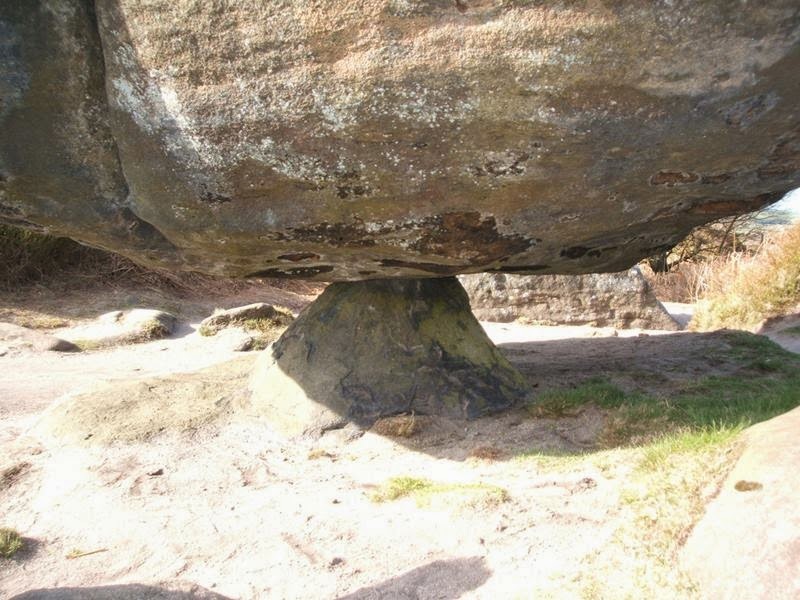 All Brimhem Moore is considered one of the strangest places in the entire UK. 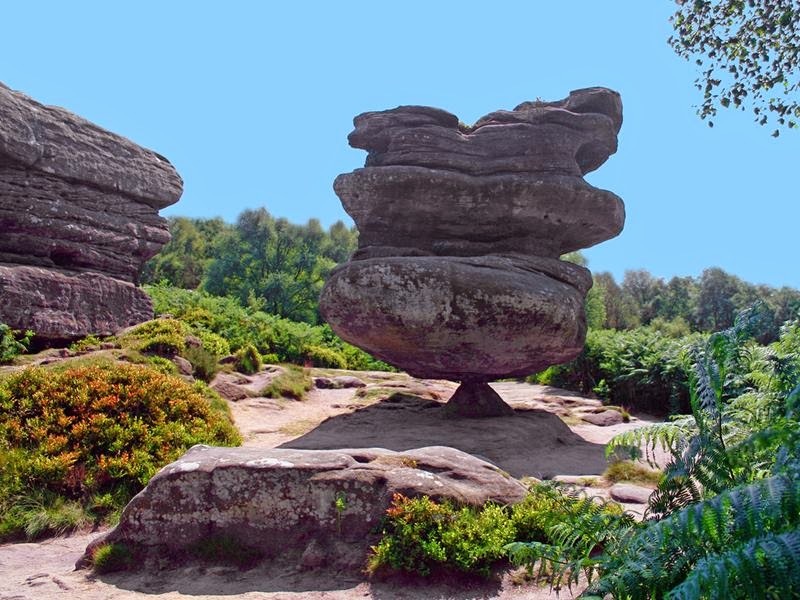 During the Victorian era dozens of strange looking stones made people assume that this site was created by the Druids, and only in the 20th century, people have finally realized that it was the result of erosion over 18,000 years. 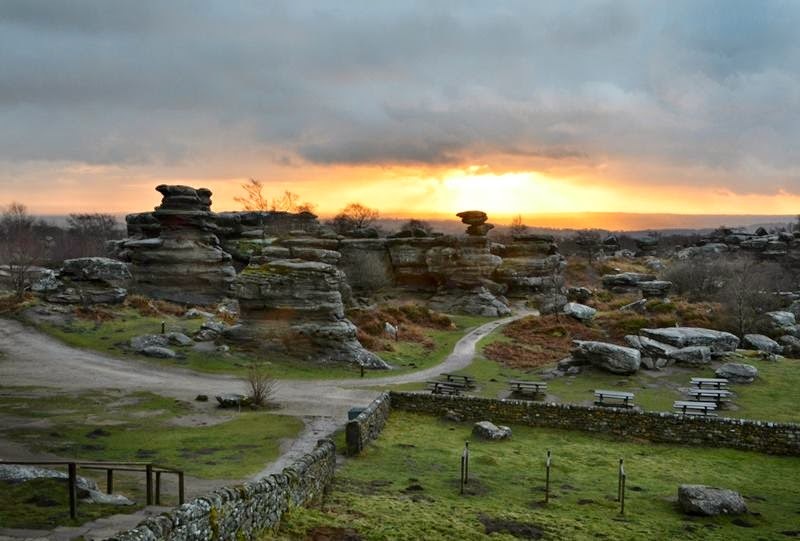 "If Brimhem could carry the plain of Salisbury "Salisbury Plain", then Stonehenge would have looked poor and miserable miniature" - someone said about this magical place.